I have been waiting a while to share this photo shoot with you that I was able to participate in. But, with the 100th anniversary approaching on April 15th, today seemed like the perfect day. But, first a little bit of a background story on how the shoot came about. When I received an email with details on the Titanic Museum in Pigeon Forge I immediately contacted them about the possibility of a styled shoot. When I received the green light - I put a call out for nearby planners and photographers. 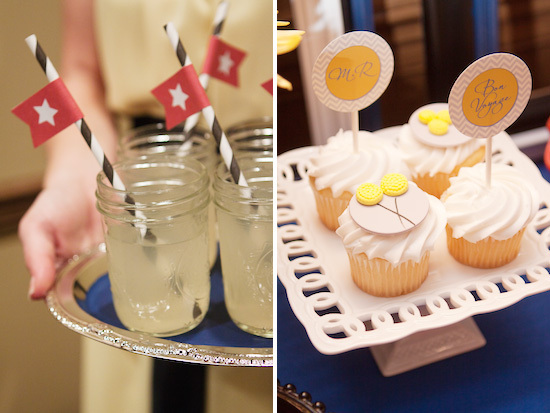 Once I had Mayra of In Flight Celebrations LLC and Kristen Steele Photography on board, everything else fell into place. 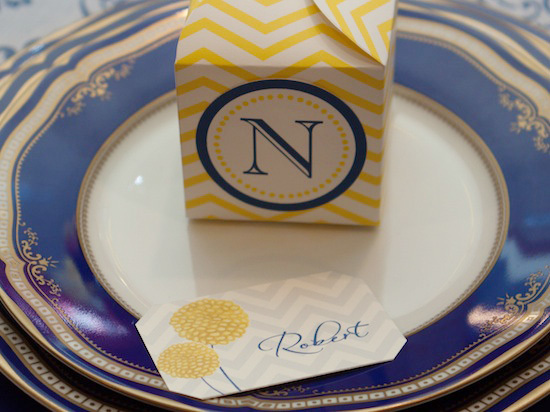 I was honored to be able to design the invitations, place cards and other coordinating chevron themed paper goods. 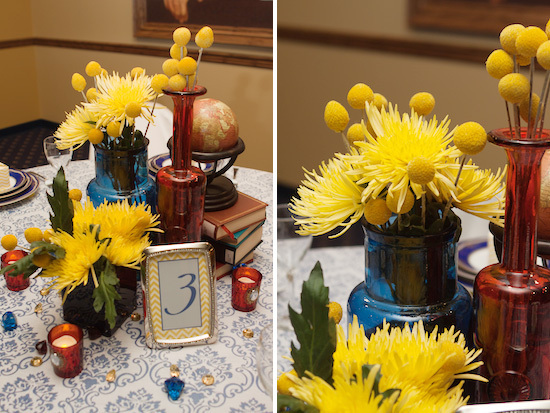 The invitation and place card both feature a hand drawing that I did of the popular yellow flower known as Craspedia or Billy Balls/Buttons. The following details of this shoot are from Mayra . . . This spectacular Styled Wedding Shoot was inspired by Titanic’s 100th Anniversary. 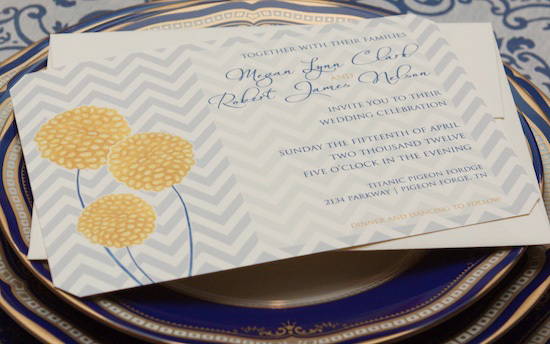 We styled a very sophisticated and traditional Titanic inspired Wedding yet very modern in details like bright yellow bridal shoes; chevron designs on the Wedding Invitation Suite and Stationery and a festive Kids Wedding Table. 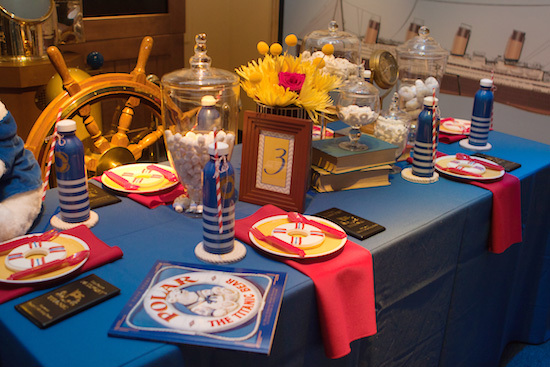 Travel, nautical and a vintage influence all created the elements for the shoot’s décor and ambience. 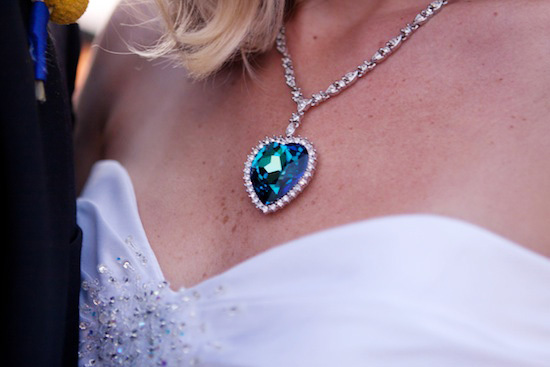 Titanic’s Museum is a perfect and romantic location for Weddings and we carried the Titanic’s traditional and unique event icons with the use of the famous Heart Pendant and it’s color through the décor. 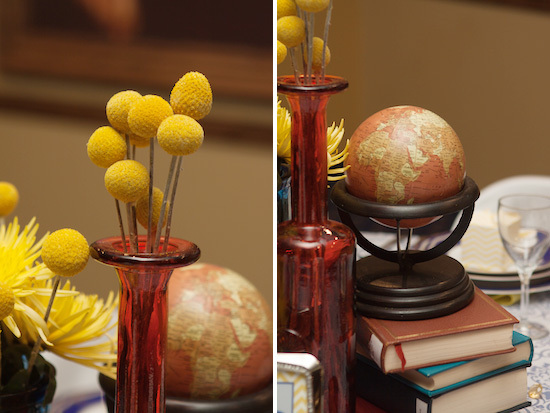 The typical black, white and red colors are elegant and symbolic to use on a Titanic Wedding. 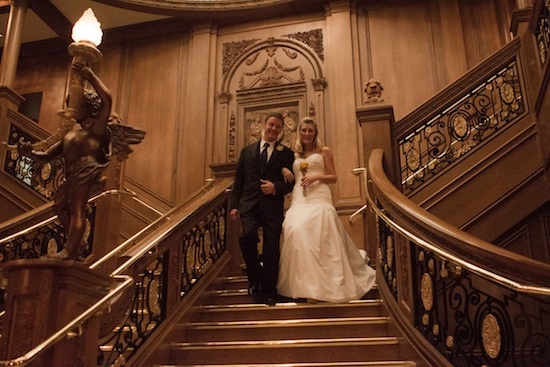 It’s magical to be inside the Titanic celebrating romance and to portrait a loving couple on the famous Grand Staircase. To celebrate their love with a reception having such a stunning background as is Captain Smith’s painting. A Grand Staircase Dessert Table is an over the top experience with such a beautiful significance. Red roses were included in the décor and the desserts were not only beautiful and tasty, but they also coordinated with our Titanic color palette. On the kids table we used all white candy to serve as centerpieces. 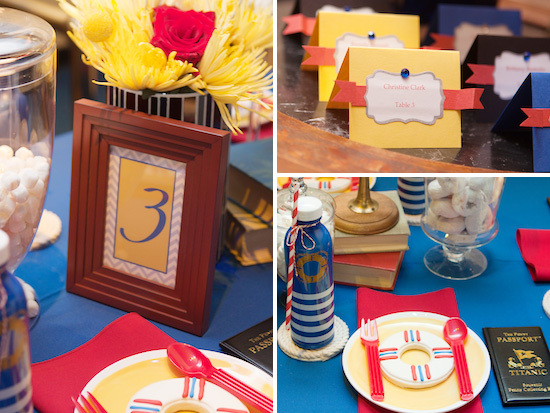 The table is fun for the young ages with themed water bottles and delicious cookies in every seating. Passports, books and polar bears from the Titanic Museum’s shop complimented this table perfectly.